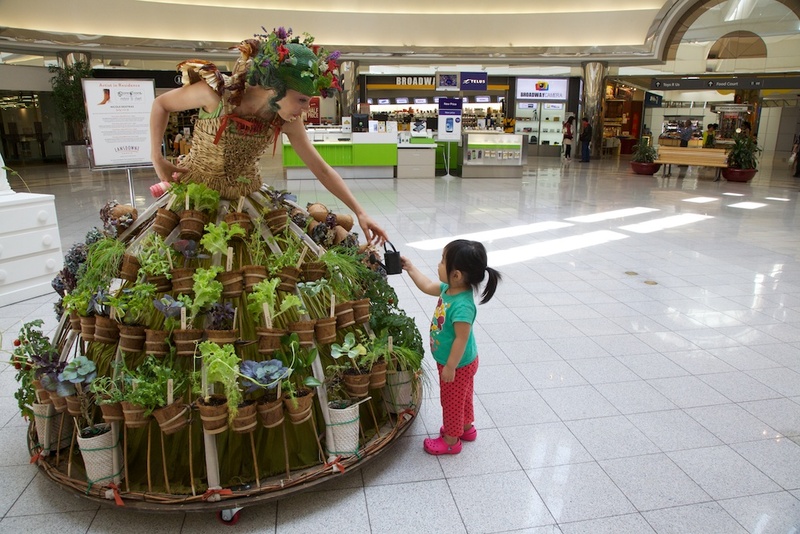 The Mobile Garden Dress, part of the Urban Foragers series made 2 appearances during my StoreFront, objects of desire installation at the Lansdowne Centre in Richmond. 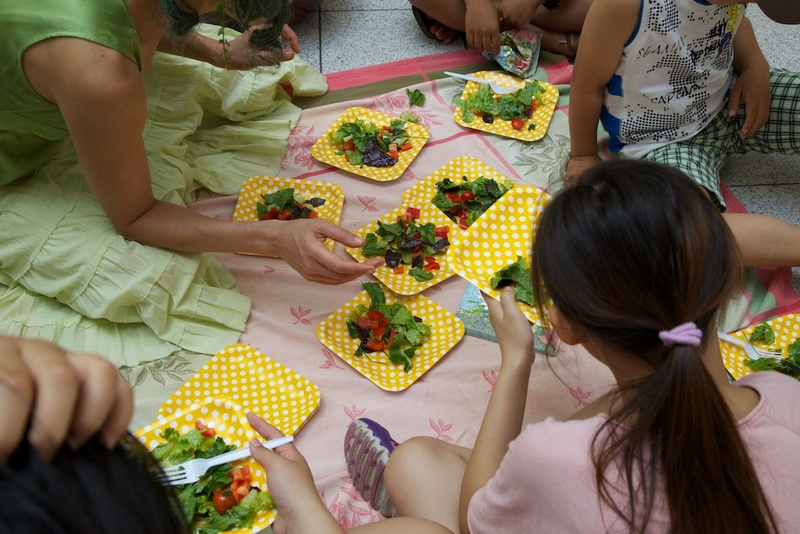 The dress was animated by Nita Bowerman, who invited people to water the edibles in her skirt, talk gardening and then make a salad. 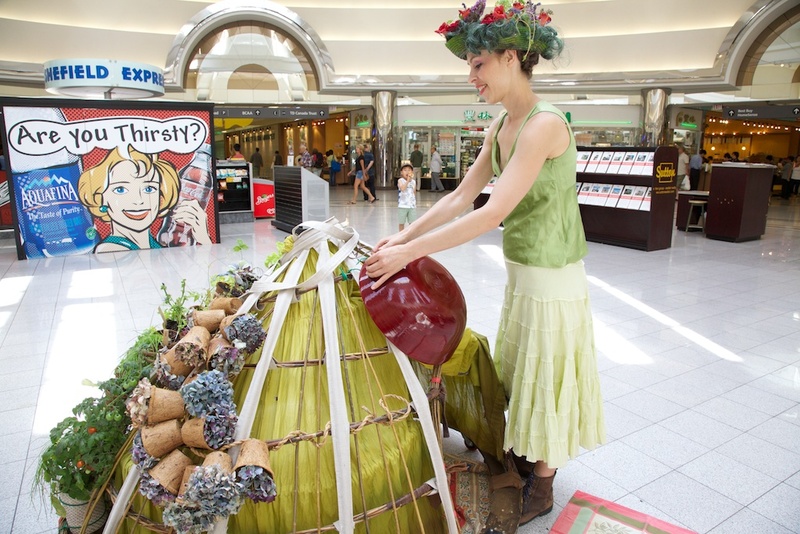 If the shopping centre is the new community church then camping in a dress covered in edible plants is a great way to bring people together and bring some genuine connection to the retail experience. 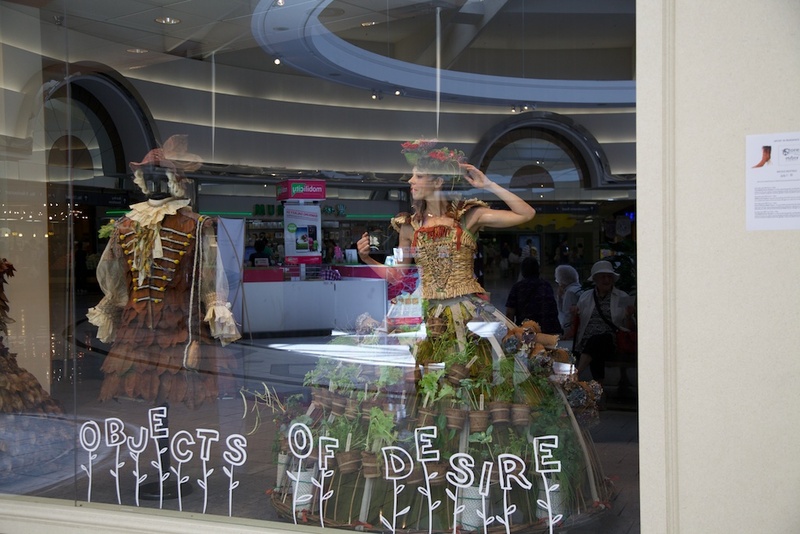 Madame Jardin comes to life inside the StoreFront window display. Big and small help water the dress’ garden. 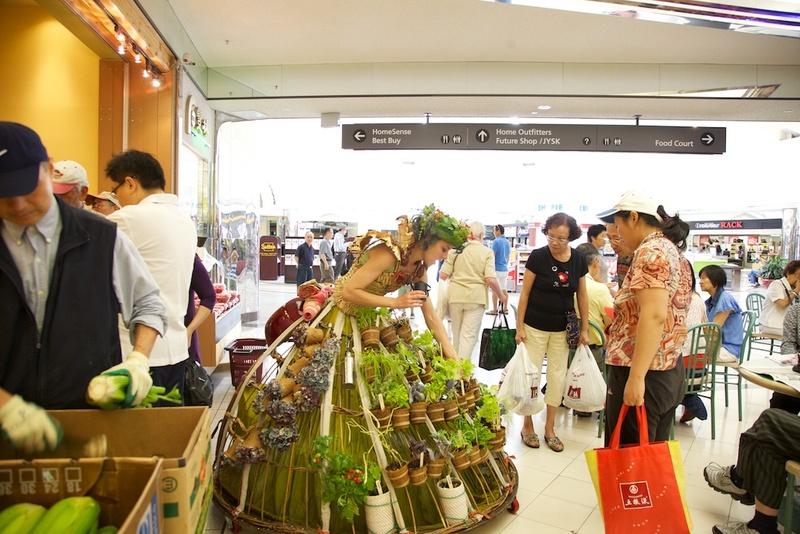 Engaging with shoppers about gardening and food production. 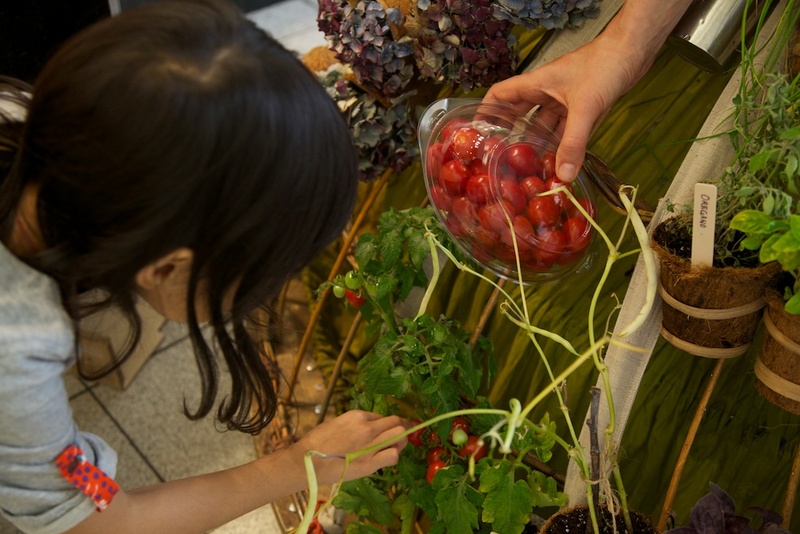 Sweet cherry tomatoes; Comparing the store bought version to the organic plant. Once out of her skirt, Madame Jardin unhooks her bamboo bowl to begin preparing her lunch. 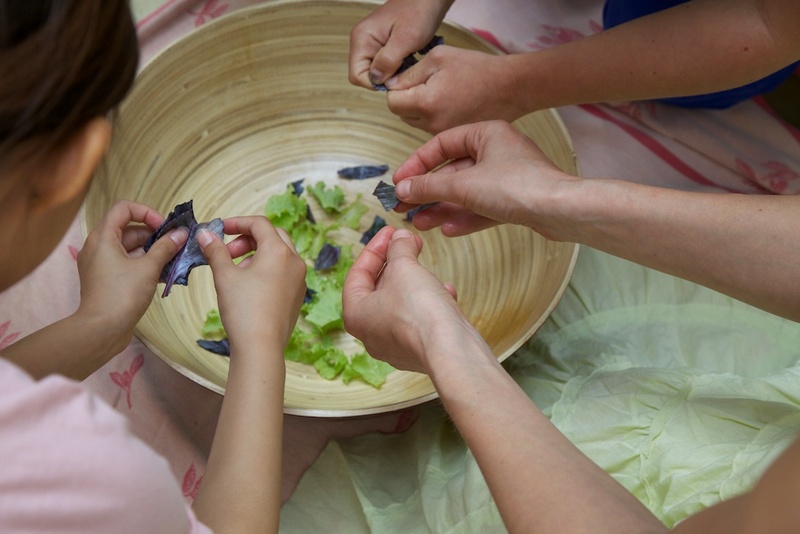 Community salad; everyone shares in the experience. 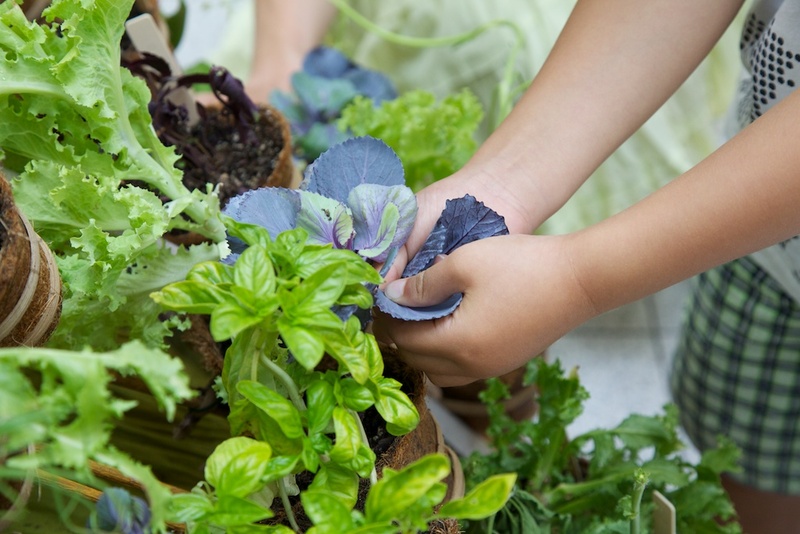 Salad ingredients include lettuce, basil, chives, cabbage, peppers and cherry tomatoes. 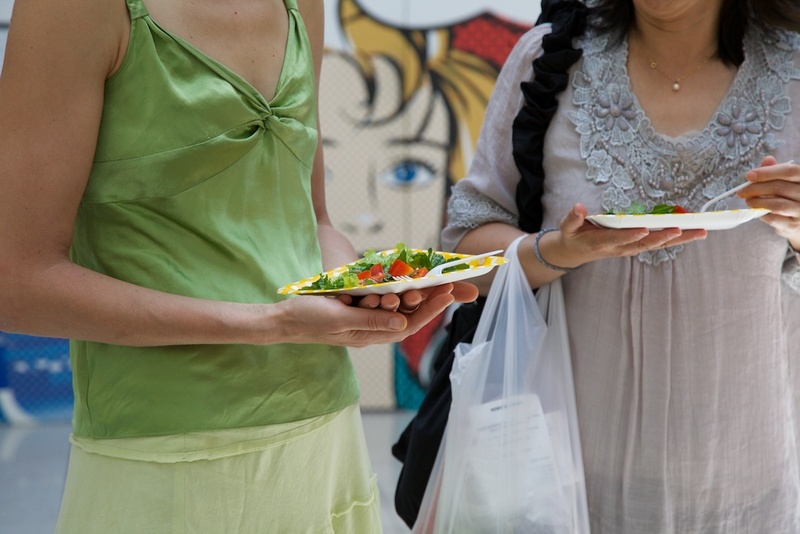 Food tastes much better on polkadot plates! 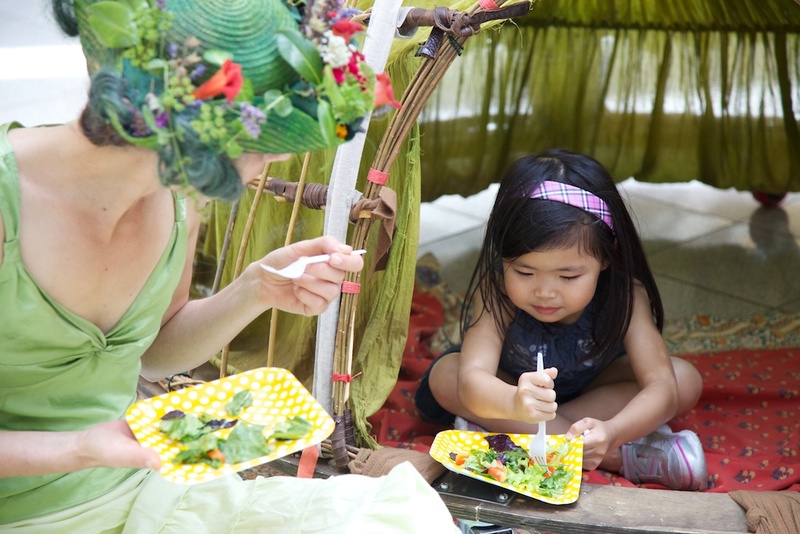 The salad has been made and eaten and so Madame Jardin invite some of her new friends into her skirt/tent to tell stories and take a nap.